The Ministry of Economic Development (SEDEC) in Nuevo Leon, is negotiating 20 energy projects in the State, which total an over US$2.2 billion investment for this year, said Hector Tijerina, Director of Energy Promotion Department of SEDEC. He explained that the projects consist mainly of wind farms and combined cycle plants for electricity generation with natural gas. After a seminar on energy reform, organized by the Electrical Contractors Association Northeast and Federal Electricity Comission (CFE), the official stressed out that there is a goal to invest over US$1.7 billion in the energy sector this year. "We have a portfolio of private investment projects for more than US$2.2 billion currently under negotiation." "At the end of 2014, we captured US$1.65 billion in private investment projects announced for the energy sector, not counting those from the National Infrastructure Plan", he commented. 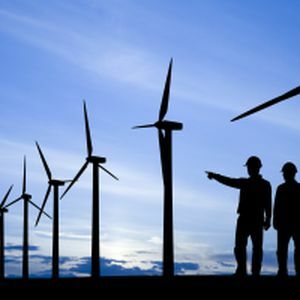 The projects currently under circumscription are: a wind farm in the municipality of Mina, with an investment over US$400 million, and a solar panel factory of an Asian company (located in Apodaca), valued US$300 million. During this year, projects like the French firm Neoen, that built the first solar farm of Nuevo Leon in Galeana, with an investment of US$60 million have been formalized, said Mr. Tijerina.